My next stop was just around the corner at Angel View. The store was huge and well lit with so much merchandise from clothing for everyone, accessories, handbags and home goods as well. This seems to be the largest charity in the desert and they help children and adults with disabilities, so buying here is supporting the people they serve. I found so many thing to buy but I came away with a beautiful silk charmeuse skirt by Oscar De La Renta for $7.99 and a beautiful embroidered vest for $3.99. Such a great way to shop, and it makes you feel good too! Here is a link to their locations. Last stop, the good 'ol Good Will! They are everywhere, they all look the same, have tons of stuff and it's all arranged by color. The one I shopped is in the New part of La Quinta. I bought this beautiful blue silk tie dyed slip dress for $8.00! It fits perfectly, a great addition to my summer wardrobe! If any of you would like to share your favorite vintage or thrift stores let me know I am always on the lookout for new places! I am a good mom, at least I like to think that I am. I took my son and his friends to Coachella. Of course being a parent they would have died of embarrassment if I went with them so I decided to explore the thrift stores around Coachella. Coachella has a very charming center of town, but I was amazed, it felt like a ghost town. I was the only person out on the street and it wasn't that hot. I guess if you live in the desert you live indoors. There are two thrift stores in downtown Coachella. The first one I went to is called Oasis. I purchased these two items for a little over $3.00 a piece. The top is from Tribes, light 100% cotton and will be perfect for summer and the fun 100% cotton skirt is Liz Claiborne. Both are in perfect condition. The other one is called New Life. I have always wanted a asian robe and was so happy to find this one. 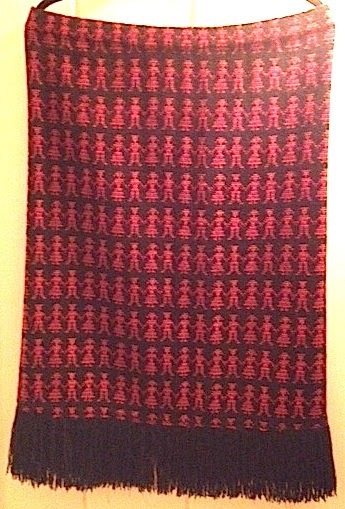 Then the greatest find of my outing was an Yves Saint Laurent Encore, 100% wool dress made in France. Imagine my surprise when I got to the counter and they told me my total $2.00 plus tax. I had just purchased an Yves Saint Laurent for $1.00! The Encore line was introduced in 1993 for American women.I couldn't find this dress but a jacket from the line originally retailed for $600 to $800 so I really found a treasure. I found another awesome store that has quickly become one of my favorites. 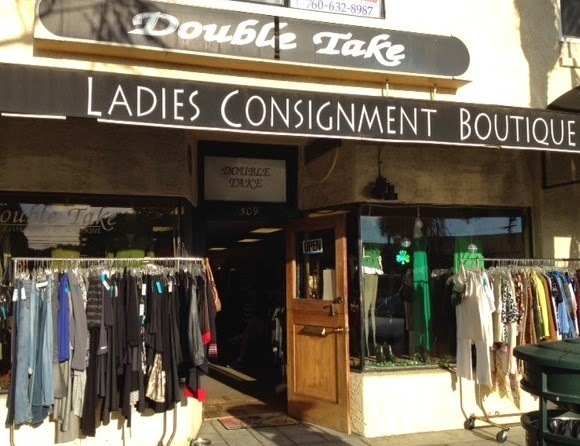 Double Take Consignment in Encinitas. When you step through the doors it feels like a cute, sunny expensive boutique. The walls are painted a beautiful warm yellow shade and colored bottles line shelves above the racks, even the dressing rooms are adorable. 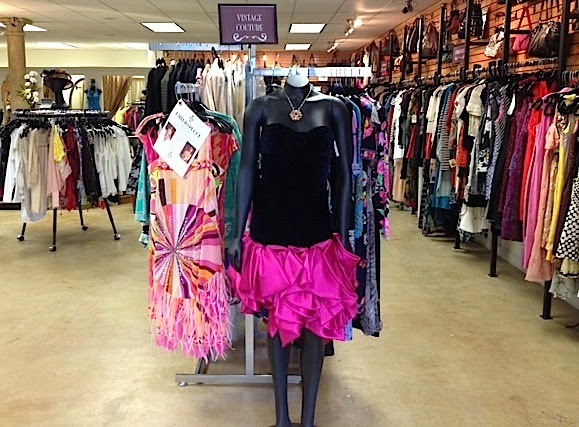 They have a great assortment of clothing and the prices are really good, I can't believe I didn't check it out before. I remembered thinking it must be expensive as I would walk by, a great example of not judging a book by it's cover! I could have purchased a Gucci pale pink shirt for $25.00 but I really didn't need it, Pale pink is one of my favorite colors and I just couldn't justify another addition (now I wish I had). I went back just the other day and bought a Free People black and white striped maxi dress $19.99. It will be great for the beach this summer (or shopping or the movies), it is so comfy, I my never take it off! Fashion Week vs Everyday Fashion! I look forward to Fashion Week, everyone of them even the most obscure! Prague just finished today and believe it or not Kiev starts Thursday. It's entertainment for those of us that are not (or no longer) in the fashion industry and shouldn't be taken too seriously. The more you watch the more you realize that it is all a matter of taste and finding your look that you feel comfortable in and shows the world who you are! are always in style, black and white is timeless and florals are always in style for spring (what a surprise)! I try to stay away from anything with too many details, and my cardinal rule, if you remember wearing it before (like in high school), don't wear it now. This will difficult as the 70's are back (it was the 60's before and it makes me wonder if the 80's are next) and I will try my best to stay out of flared jeans! Fashion is rarely ground breaking and like the song "Everything Old is New Again" fashion is recycled over and over again. That is one of the reasons I love shopping at thrift stores. One of the current trends I really wanted to find was a fringe skirt that would be appropriate for the real world. Isabel Marant's Spring 2015 has a beautiful fringe woven silk wrap skirt that retails for $510. I found two (on the same day) at Thrft Traders which I purchased for $2.00 a piece. 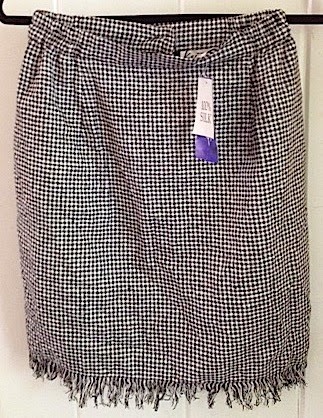 Both ironically in style, one is silk gingham (with tags) and the other a woven ethnic print. I love them both and can't wait to wear them! It is that time of year again when the fashion gurus of the world decide our fashion futures (of the next few seasons anyway). This time of the year the shows focus on next fall and winter even as we are still engulfed in our current one. I'm a little behind February has gone so fast, New York and London are finished and in the (Chanel) bag and Milan Fashion Week is in full swing. I have to say my favorite collection from New York this time around was definitely Vera Wang. Her entire collection (with the exception of a few white pieces) is in my favorite color: black! This is the first group I have seen that I would wear the entire urban styled collection, which is weird for me and my treasure hunting ways! Some of the other stand out collections (for me) has been Thakoon (some really beautiful sheer floral prints) Tibi (over-sized shapes) and on a dream scale Tadashi gowns that would make anyone look like a fairy princess. Project Runway's Christian Siriano also has a collection with a large range of styles and fabrics. This reminded me of what the judges usually say about designer's pieces on Project Runway, that we have seen it all before and I must say for a lot of the shows I feel the same, although London has again come up with the most interesting (and sometimes a little crazy) collections! 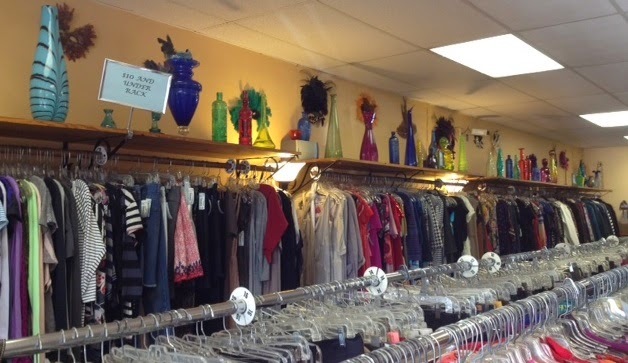 Inspired by Paris Haute Couture week I decided to go outside of my comfort zone and delve into the world of consignment shops. I know it sounds silly but if you've read my blog before you might remember my best find so far was a lovely shirt I found at Ross for 49 cents! the people are so nice! Here is the treasure I purchased: a beautifully, beaded and embroidered top (if I was younger it could be a dress) perfectly on trend for spring, by Burning Torch $29.99. so I will definitely be back! My favorite past time of watching runway shows (since I can't afford this kind of fashion) is in full swing again starting this week with the amazing and out of this universe expensive (at least for a mere mortal like me) world of couture! I could not find any sites to watch the live shows but I found something even better, a fashion website that posts the photos on their site during the fashion show. https://www.pinterest.com/carol98031 ) You can share by Tweeting, Facebook and more and of course you can follow them on social media sites, they even have a Tumblr! It is a great online magazine with articles and reviews. You can also search by city or designer for past events! The couture shows are behind the RTW schedule and so were Spring/Summer (that makes sense since these outfits are made to order) so I was surprised to see Viktor&Rolf and Balmain showing prefall. Viktor&Rolf actually had 2 shows but after seeing their spring/summer collection it makes me wonder if they hate women! I found it difficult to enjoy the prefall lines as I was loving all of the spring and summer colors. Two collections stood out in my mind. Valentino's collection ranged from ethnic folk to elizabethan complete with corseted chests and some looks in Jean Paul Gaultier's collection combined different halves of two outfits. Not sure about this look but it you happened to be at an event and you were wearing the same dress as another woman you could stand so they only saw one side and they may not notice ;)! So many beautiful outfits, but I must say as a complete line Chanel was my favorite, the colors and styles exquisite and all completely wearable. 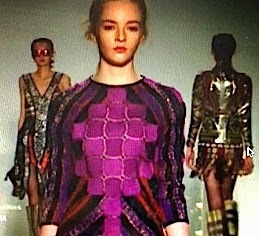 The fall ready-to-wear shows start in February, I can hardly wait!